In the cold and foggy early morning hours, this morning, AIDAstella slowly began her journey out of Meyer's indoor Building Dock I, at times barely visible to the small number of hearty souls who braved the frigid temperatures to be among the first to see the new ship. 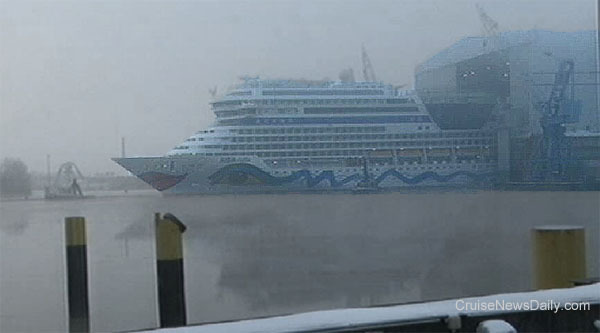 Once some of the fog burned off, the ship's brilliant colors could be seen while it underwent tests in the lagoon. Note the ice floating in the water. AIDAstella's next trip will be a one way trip down the Ems River to the sea, planned right now for February 9/10. Details appeared in the January 25, 2013 edition of Cruise News Daily. 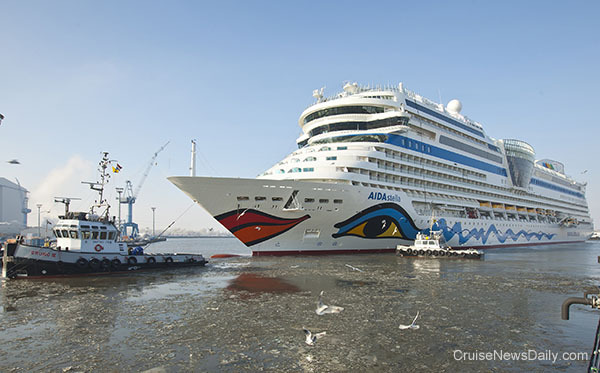 Photos courtesy of NDR, Meyer Werft and Cruise News Daily. 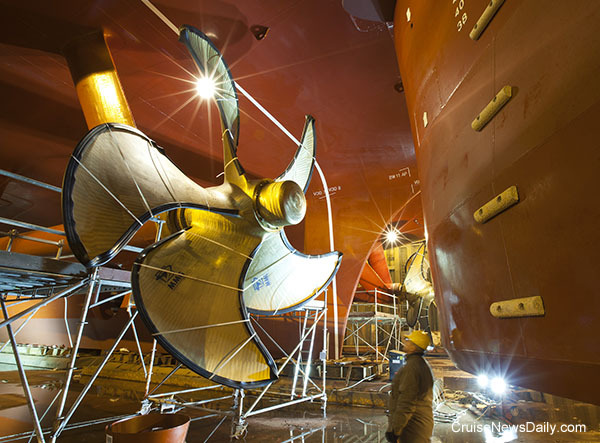 Two giant propellers were attached to AIDAstella today at Meyer Werft in Papenburg. Each measures more than 17 feet across and weighs in excess of 14 tons. The ship will be floated up later this week and towed out of the building dock on January 25. Details appeared in the January 21, 2013, edition of Cruise News Daily.